New Orleans Office Furniture – Decor or Functionality? If you run your business from a New Orlean’s office, furniture has been on your shopping list more than once. But how do you decide which pieces to purchase? Is having all matching decor more important to you, as a way to impress clients on first glance? Or are you more focused on functionality? If you have a snazzy new office for a few employees and yourself in a nice area, and depend on appearances to make a good impression on potential clients who walk in the door, having all mahogany furnishing, plush carpets, wallpaper and signed prints from major artists on the walls might be your top priority. If you tend to spend more time brokering deals on the golf course and minimal time behind your desktop, How your desk and chair fit you may be less of a concern than how they fit the space and style of the decor. However, if you and your employees work 40 hours typing furiously and having to run back and forth between your desk and the printer station, functionality suddenly becomes more important. Your office furniture needs to be comfortable to sit in, easy to move around, and make sense from a workstation point of view instead of a purely aesthetic one. If you shop carefully, however, you may find New Orlean’s office furniture that is both stylish and sensible, allowing you to work with ease as long as you need to but still greet walk-ins with an air of luxurious professionalism that engenders confidence and respect. 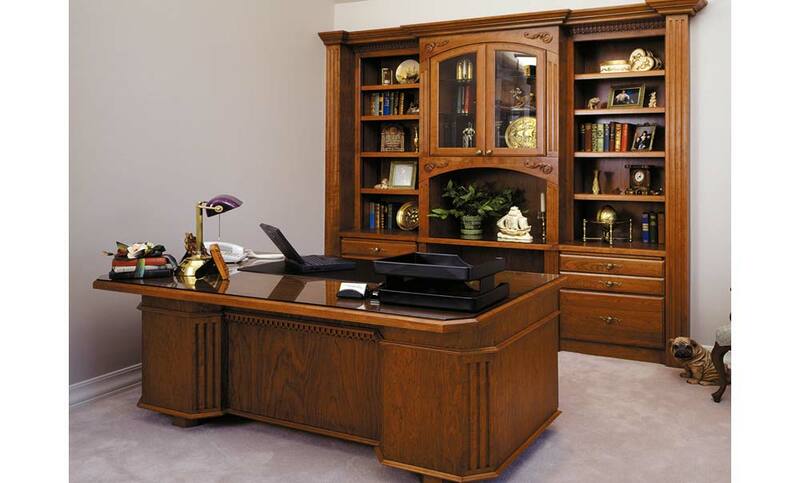 Whether you opt for a huge executive desk with a high backed leather chair or a corner desk with a rolling chair and comfortable lumbar support, you can find options that suit both your visual and physical needs with just a little extra attention to detail. What is important to you when you go shopping for office furniture, and what do you wish you had done differently when decorating and furnishing your office?